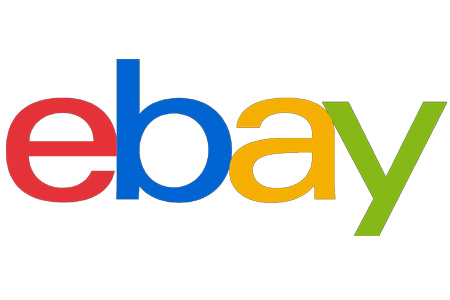 Online sellers have worried that trade tariffs could adversely affect them, and on Monday, eBay weighed in on the impact of tariffs on ecommerce in a post on the eBay Main Street blog. The gist of its post: so far the impact has been relatively limited, eBay said, but it is working to tell policymakers about the benefits of free trade. The White House has implemented tariffs on $85 billion worth of goods, including solar panels, washing machines, steel, aluminum, and a variety of Chinese products, eBay wrote, and a number of countries have retaliated with tariffs on US products. EcommerceBytes readers discussed the impact of tariffs in this AuctionBytes Blog post from July 6, 2018. After campaigning on protecting American jobs from foreign competition, President Trump and his administration have announced and implemented tariffs on a number of products that are imported into the U.S. So far, tariffs have actually been implemented on $85 billion worth of goods, including solar panels, washing machines, steel, aluminum, and a variety of Chinese products. A number of countries have retaliated with tariffs on US products, bringing the global total of goods being targeted to $165 billion. Additionally, tariffs on two more groups of Chinese products to total $216 billion have been proposed by the administration, and it is also in the process of investigating tariffs for imported autos. So what does all of these mean for ecommerce? So far, the impact on consumer goods has been relatively limited. But with supply chains that are more globally integrated than ever, the real impact of these actions may not be clear for some time. Meanwhile, the federal GR team is engaging with policy makers every day telling the story of small businesses that are trading globally and talking about the importance of free trade. AWW Poor wittle Fleecebay has so many irons in the fire they don’t know which end is burning.